This may not have been the proper salutation to a Prime Minister in 1887, but if you were a personal friend, then, quite permissible. 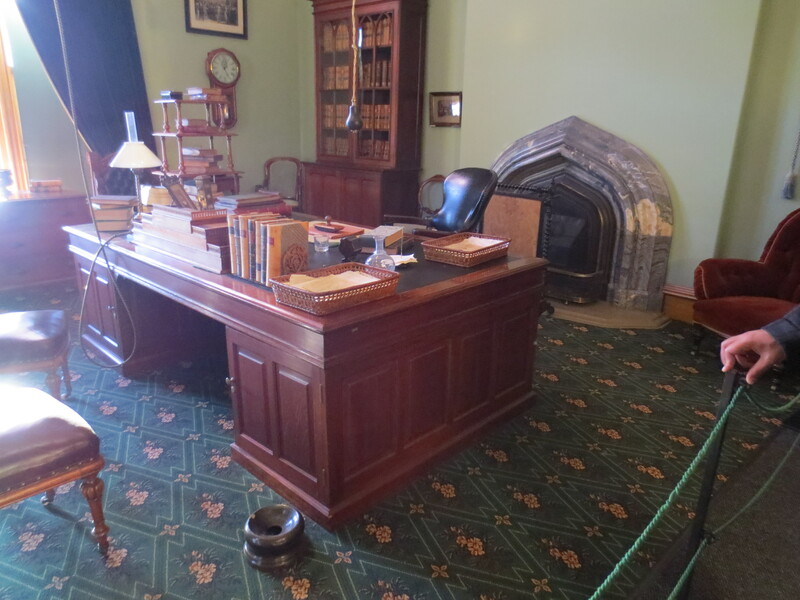 Here I am in Macdonald’s East Block office on Parliament Hill, restored and maintained to 1891, as he left it. 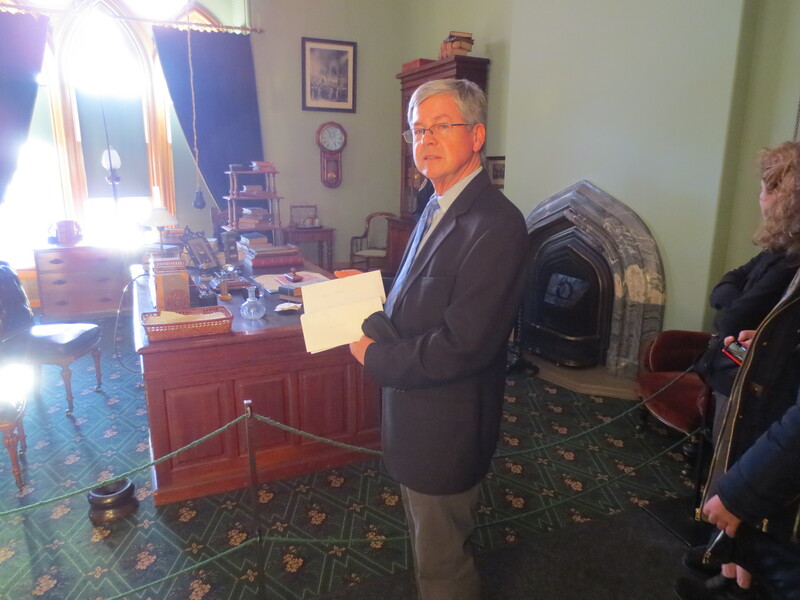 In my hand are family letters addressed to Sir John A. They are interesting as they tell of the times in Canada’s history, the little things that Macdonald encountered. A letter dated from 1887, from Isaac Preston Jr., asking Macdonald to influence the hiring of his niece into the civil service. A family history stating that Macdonald stayed at Isaac Preston’s home in Bethany Ontario, during the election campaign of 1887. David Preston’s letter to Sir John, full of gushing superlatives and praise, encouraging Macdonald to visit Amherst Island during the election of 1882. 1 . Isaac Preston born in 1816 in Amsterdam NY, arrived in Bath Ontario in 1818. The Macdonalds arrived in 1820 to Kingston from Scotland. “Johnny” was age five. (The Prestons and Macdonalds were only about 8 miles apart. The Macdonalds moved to Hay Bay shortly after, a distance of about 7 miles from the Prestons. The population was strung out along dirt paths or roads, and people encounters were important. The two may have crossed paths at school, Isaac likely attended the Bath Academy. The two met again in the militia of 1837 – 1838 and I expect at Orange Lodge meetings. In 1866 Isaac participated in the Fenian Raids, important as the militias defended the country in Macdonald’s new Canada. The 1887 election is interesting as Macdonald wanted rest and a chance to see an old friend. He enjoyed children. The family story has Sir John bouncing the very young Eunice Preston on his lap. She remarked at his big nose. No harm done. David Preston, 5 years younger than Sir John was a political organizer and as chairman of the Conservative Electors of Amherst Island, was responsible for getting Sir John elected in Lennox Riding in 1882. They succeeded. David’s obituary too, cites a lifelong friendship to Macdonald. My connection – Isaac Jr., and David were younger brothers of Alexander Preston, my gg grandfather, also a staunch Macdonald supporter. There was a strong, lifelong friendship between Isaac Jr. and Sir John. I believe there was also a sense of respect and of loyalty to each other. 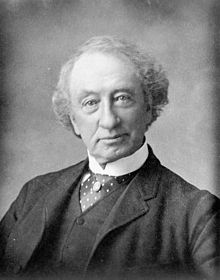 Sir John needed supporters, and defenders in Canada. Isaac provided that. Isaac needed a British-aligned leader, for his new Canada. For me, this visit to Macdonald’s office was very special, a re-connection with my ancestors and their important roles in fashioning Canada in its early years. As the letters are part of the Library and Archives Canada collection, I expect those same letters actually crossed, Sir John’s desk.